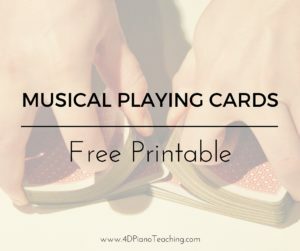 In the search for something fun to do the last week of lessons before summer, I’ve created a new printable game for you! The concept is pretty simple, they are just playing cards with note values on them, but I’m excited about all of the possible games I can play with them. So far I have only tried War with students, but I think they would work for Go Fish, Spoons, and more. 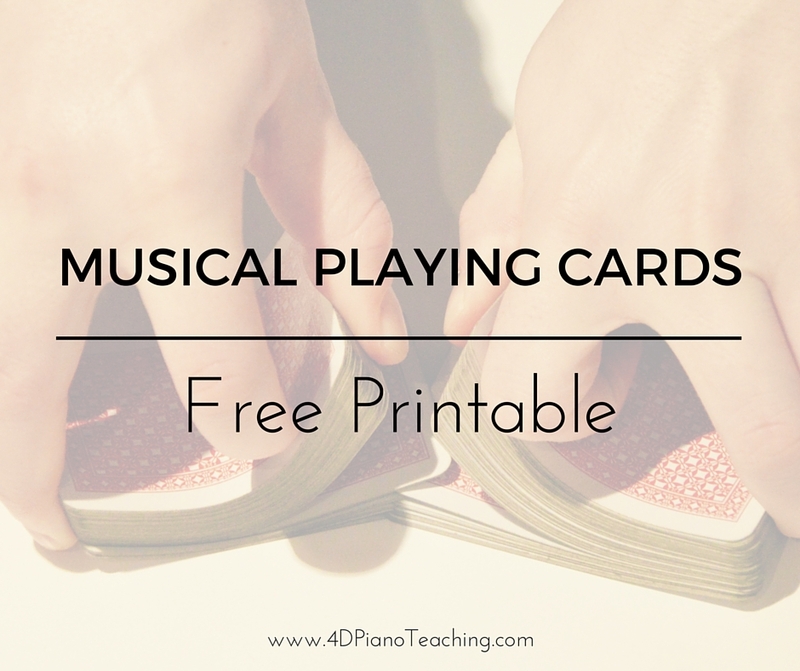 Simply print the cards double sided, cut out, and start playing! Instructions for War and Go Fish are included, but I’m interested to hear what games y’all come up with to play with these cards. You can easily adjust the game to suit a student’s level by removing the note values that they do not know yet. Thanks for sharing! I look forward to trying it at my summer piano camp. Another game my students love is “Don’t Eat Pete.” You could easily make a rhythmic version of this by arranging 9 of the rhythm cards in a 3×3 grid to give students some practice naming the different notes. (More complete instructions on “Don’t Eat the Poison Pumpkin” heidispianonotes.blogspot.com).